Emory University School of Medicine (founded 1854) is ranked among the nation's finest institutions for education, biomedical research, and patient care, with 2,051 full- and part-time faculty and 966 volunteer faculty. 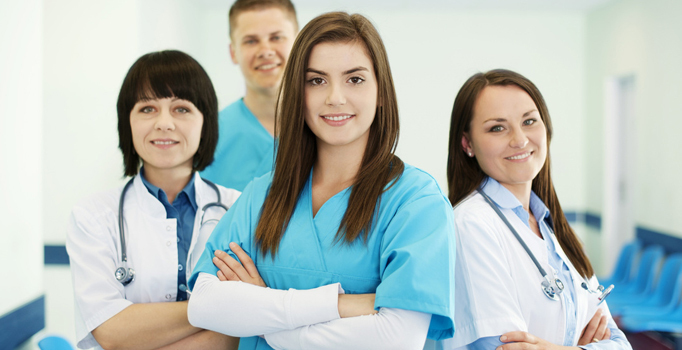 The school had 41 applications in 2010 for each of its first-year medical student positions, and its students perform extremely well compared with their peers at other schools. In 2010 for example, the pass rate for first-time takers of steps 1 and 2 of the National Board Exam (testing basic science and clinical knowledge and skills) averaged more than 97%. On graduation, almost half of the school's students pursue residencies in primary care. The school has 522 students and trains 1,156 residents and fellows in 88 accredited programs. The school has 73 MD/PhD students in one of the 40 Medical Scientist Training Programs sponsored by the NIH and trains 581 postdoctoral fellows. Some of the MD/PhD students are in a joint program with Georgia Institute of Technology, with which the medical school shares a biomedical engineering department ranked second in the country in 2010 by U.S. News &amp; World Report. The medical school has 20 MD/MPH and three MD/MSCR (master's in clinical research) students. More than 243 medical faculty also train predoctoral bioscience researchers in one or more of the eight programs of the university's Graduate Division of Biological and Biomedical Sciences. Faculty in five health professions programs train 466 students. These include a physician assistant program ranked fourth in the nation by U.S. News &amp; World Report and a physical therapy program ranked 7th. Medical school faculty received $417 million in sponsored research in fiscal year 2010, including funds received by medical faculty at Yerkes National Primate Research Center, Atlanta VA Medical Center, Winship Cancer Institute, and Emory's Center for Comprehensive Informatics. Ranked 16th nationally in NIH dollars received, the school is one of the fastest-growing recipients of NIH awards in the country. Physician faculty in Emory's hospitals, affiliate teaching hospitals, and outpatient venues were responsible for 3.9 million patient services in 2010. The school has 14,026 alumni (5,421 medical school and 8,605 residency and fellowship alumni). One of every four physicians in Georgia trained at Emory. In addition to the school's regular education programs, 8,654 physicians and other health care professionals came to Emory last year to participate in continuing medical education. We've begun a new era in the School of Medicine, where we have raised the bar in medical education. Our new medical education building provides a friendly, state-of-the art home for students. The 162,000-square-foot building is a visible sign that we have never been more committed to medical education nor more determined to be a model for training physicians uniquely prepared to practice 21st century medicine. The building makes possible a more dynamic way of teaching. Our new curriculum teaches the fundamentals of science within clinical settings and immerses students in clinical experiences from week one. Our faculty helped design the new curriculum and today are more excited about teaching than ever. Instead of focusing on large classroom lectures, the new curriculum emphasizes small-group learning and greater interaction among students and faculty in medicine, allied health, and other disciplines. The building offers wireless technology, experiential learning through simulation labs and patient exam rooms, a dissection facility equipped with computers, and much more. It also makes possible a 15% increase in the size of our entering class to help alleviate the severe shortage of physicians projected in the next decade. For students passionate about science, our MD/PhD program prepares them for careers as investigators and teachers in biomedical research. Some MD/PhD students enroll in a joint program with the Georgia Institute of Technology, with which the medical school shares a top-ranked biomedical engineering department. For students committed to public health, our MD/MPH program with the Rollins School of Public Health prepares physician leaders in epidemiology, international health, health policy, and other fields. Emory is one of the top biomedical research institutions in the nation, ranking among the top 20 schools of medicine in NIH research funding. Outstanding programs in neuroscience, transplantation, vaccine research, oncology, cardiovascular biology, biomedical engineering and nanotechnology make Emory a vibrant research center. Through these and other programs, the latest scientific breakthroughs are applied to patient care. New initiatives in predictive health and global health will improve how we prevent and treat disease in the future. Our medical faculty is responsible for more than 3.6 million patient visits at Emory's own or affiliated clinics and hospitals. 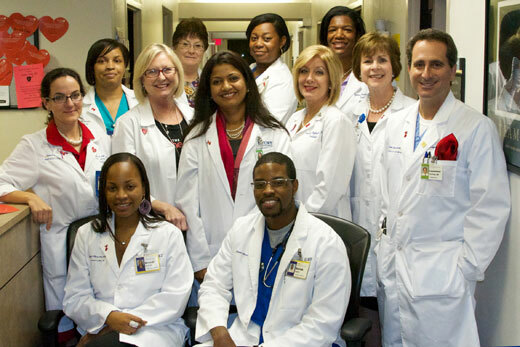 These physicians are part of Emory Healthcare, the largest and most comprehensive service provider in Georgia. Emory physicians also provide a major portion of the city indigent and public health care. Just as important, medical students and residents learn to care for patients in a variety of settings, including Emory University Hospital, Emory University Hospital Midtown, Grady Memorial Hospital, Children Healthcare of Atlanta, Wesley Woods Center, and the Atlanta Veterans Affairs Medical Center. We invite you to explore the many opportunities that we offer in medical education, biomedical research, and clinical care. Please let us know if we can assist you in any way. Atlanta's first medical college was established in the decade after the city was named and the decade before the Civil War. The college was a precursor to the Emory University School of Medicine-one of the foremost private facilities for medical education in the Southeast. The school is located on the Emory campus in Atlanta's historic Druid Hills area and in Emory medical facilities downtown. The forerunner of the school dates from 1854, when the Georgia General Assembly granted a charter for Atlanta Medical College. Students attended the first session the following year, and in 1859, with a $15,000 appropriation from the state legislature, the first building was erected at Butler and Armstrong streets near the site now occupied by Grady Memorial Hospital. A series of mergers followed. In 1898, Atlanta Medical College joined with the Southern Medical College (founded in 1878) to form the Atlanta College of Physicians and Surgeons. 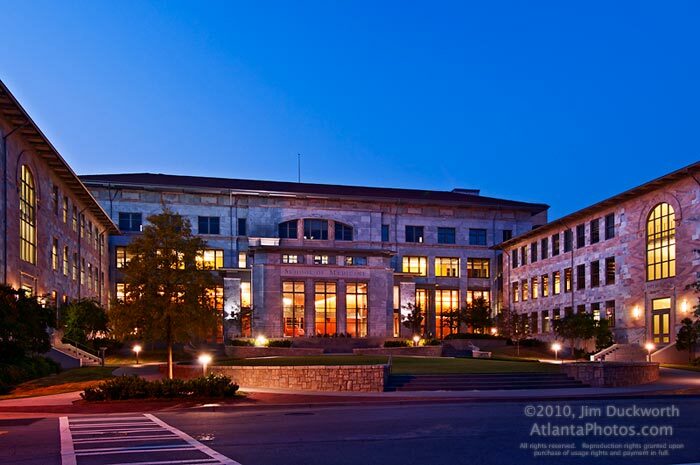 Fifteen years later, this college merged with Atlanta School of Medicine (founded in 1905) under the historic name Atlanta Medical College. 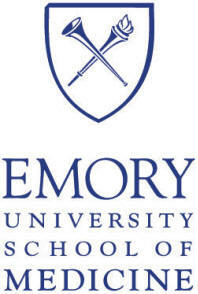 Then in 1915, the amalgamated school became Emory University School of Medicine. At a meeting of university alumni in 1919, it was decided that graduates of the antecedent institutions would become alumni of Emory University School of Medicine. Incorporating the old medical college into Emory University led to noteworthy developments in both construction of facilities and strengthening of educational programs. Campus facilities for teaching and research in basic sciences were completed in 1917 with construction of the John P. Scott Anatomy Building and the T.T. Fishburne Physiology Building, still in use today. With their opening, the first two years of medical instruction were moved from downtown Atlanta to Emory. That same year, the university constructed the J.J. Gray Clinic Building on Armstrong Street for outpatient care of the indigent sick and for most of the clinical instruction of third-year students. Fourth-year work was carried out in the old college building at Butler and Armstrong streets and in nearby Grady Memorial Hospital, established in 1892. Also in 1917, the School of Medicine was accepted into membership in the Association of American Medical Colleges (AAMC) and was approved by the Council on Education of the American Medical Association (AMA), now the Council on Medical Education and Hospitals. Today, the AMA's Liaison Committee on Medical Education and the AAMC accredits the School of Medicine. Emory University is accredited by the Southern Association of Colleges and Schools Commission on Colleges to award associate, baccalaureate, master's, education specialist's, doctorate and professional degrees. Contact the Commission on Colleges at 1866 Southern Lane, Decatur, Georgia 30033-4097 or call 404-679-4500 for questions about the accreditation of Emory. 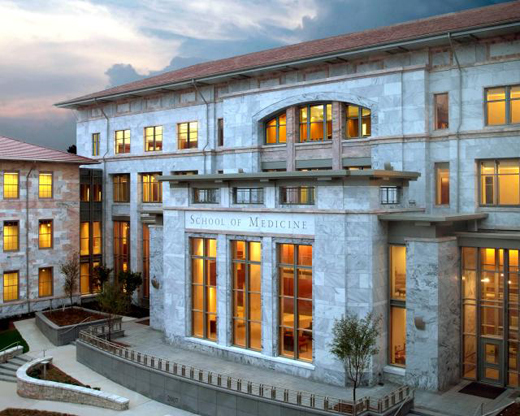 Today the School of Medicine is part of the Robert W. Woodruff Health Sciences Center, which encompasses the components of Emory University concerned with patient care, education of health professionals, research affecting health and illness, and policies for prevention and treatment of diseases. The Center's namesake, the legendary leader of The Coca-Cola Company, was a man whose vision and generosity left a lasting imprint on Emory and the city of Atlanta. His first gift to Emory benefited the School of Medicine in 1937, when he donated $50,000 for the Robert Winship Clinic for Neoplastic Diseases, now known as the Winship Cancer Institute. Other important developments occurred in this era. The American Association of American Colleges recommended that Emory place more emphasis on bedside teaching. Instead of relying exclusively on volunteer faculty, the School of Medicine began hiring full-time faculty. All have shaped the medical school's history in some way: by serving valiantly in World War II (as they had in World War I), ensuring a firm financial base for the school with the organization of The Emory Clinic in 1953, or pioneering new techniques such as developing a brain mapping system that allows neurosurgeons to treat Parkinson's disease. Through the years, the medical school found partners in and outside of Emory to strengthen its efforts in medical education, biomedical research and patient care. (Grady Memorial Hospital, the Atlanta Veterans Affairs Medical Center, and Egleston Scottish Rite Children's Healthcare System are just a few). Today faculty clinicians in affiliated hospitals and Emory's own teaching hospitals are responsible for almost 3,000 patient beds and 1.9 million patients annually. Many have taught Emory's 4,557 living medical school alumni and 7,665 living residency alumni, which include nearly one-fifth of all physicians practicing in Georgia. Photo montage from 2012 Emory University School of Medicine Commencement. Emory University School of Medicine is ranked among the nation's finest institutions for education, biomedical research, and patient care.